It’s become a weekly occurrence to read about America’s retirement crisis. 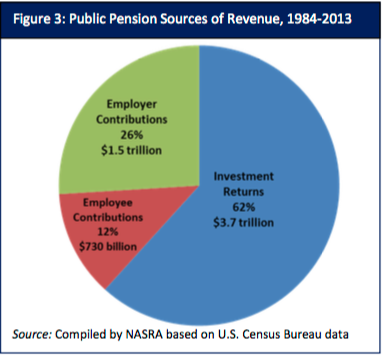 Pensions are underfunded. Americans aren’t saving enough and face a huge shortfall. Social security and medicare are both overextended and face demographic headwinds. 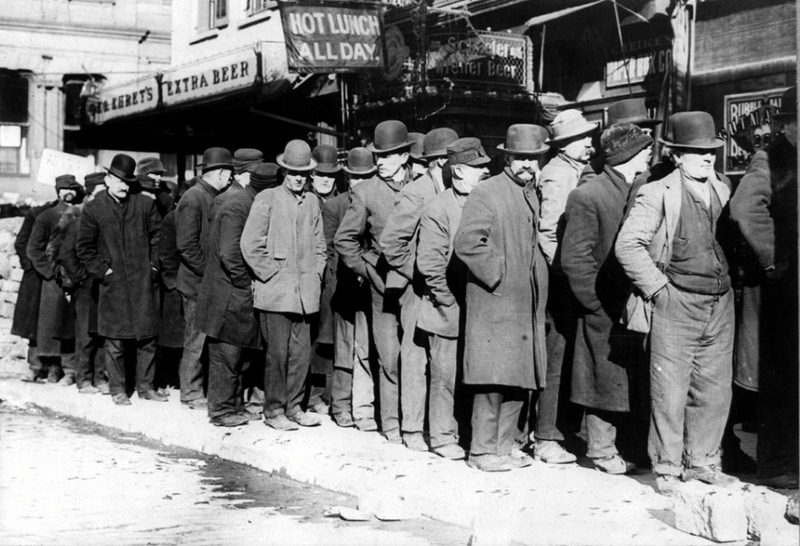 I have yet to see a large group of retirees waiting in a bread line, so I don’t think we can go so far as to call this a crisis. If anything, the majority of people who are in trouble need to reset their expectations for what retirement will look like compared to their lofty goals. 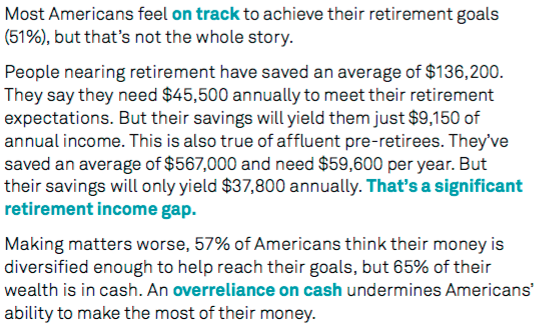 This is not necessarily a retirement income gap; it’s an expectations gap. The average social security monthly benefit is roughly $1,300 or just shy of $16,000 a year. That helps close the gap a little, but still leaves many people being forced to change their standard of living in retirement. Average return assumptions have come down since the end of the dot-com bubble, but these plans are still going to have to face reality eventually. 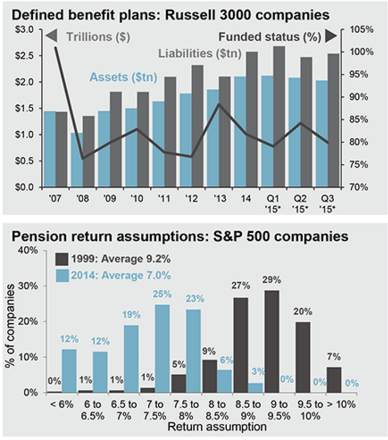 As my colleague Barry Ritholtz noted recently, the underfunded status of many pension plans has caused them to make asset allocation changes that have only made their problems worse. Nobody like to make hard choices because…they’re hard. I don’t think the retirement “crisis” is as bad as some people make it out to be. But we do know that people are living longer yet not saving more money to compensate for a longer lifespan. This is a good problem to have but one that needs to be addressed. People will have to ramp up their savings rates later in their career to play catch-up (just like the pension plans). People will have to work longer. People will have to temper their expectations and change their living standards when they stop working. Not everyone is going to be able to live on the beach or travel at will. One of the downsides of this will be that certain investors will end up taking on more risk than they should, which could only make the problem worse. This could be magnified in an era of low interest rates. None of these options are ideal, but they will be necessary for a large number of people who have either high expectations for life in retirement or not enough savings to cover their current lifestyle. Good overview. As an adviser that works with many middle class and even lower middle class people, I too believe the “crisis” is overblown. I just saw a new giant survey released the other day that said, right of the bat, that everyone acknowledges that we have a crisis. I don’t! The problem with so many of the statistics, is that they are just averages, they don’t apply to real people and how they are living their lives. The largest factor that I see is that many people’s expenses are far less in retirement than what many commentators expect. I rarely see surveys that actually show what retirees are spending as they age. Many people in their 40’s and 50’s and 60’s have paid off their principal residence and don’t have much in kids’ expenses. Also, believe it or not, there are many people that don’t want to travel the world or spend much of anything in retirement. They just don’t want to work anymore! This is not to diminish those that will fall short. Many people will and their futures may not be what they are hoping for – as you suggest! In addition, significant health care or long term care events will stress our medicare and medicaid systems more which could result in reductions in quality of care for those most financially vulnerable. But as far as lifestyle, I feel that many people will have a more tolerable lifestyle than the numbers indicate. That’s a great point about lower expenses in retirement. And besides healthcare, those expenses probably drop over the years too. The crisis is overblown by financial institutions that benefit from increased savings. As you say, not everyone needs or wants to travel and waste money doing other things. Maybe most folks have done their traveling on vacations throughout the years, and just want to relax and do whatever they please. You cynicism of the financial services industry is justified. Oh yeah! I used to work for VALIC. Beat that! Perhaps I live in the “Glass Half Empty” sphere on this issue, but it often seems to me that denial is a frequent component of many people’s retirement plans. They under save and under invest, and will frequently acknowledge these mistakes, but do little about them. Like you, I expect that working later in life will be more common, as will reduced lifestyle expectations in retirement. Unfortunately, the mantra of “save early – save often” is all too true and is very difficult to make up as people approach retirement. Save early/often will become more and more important as life spans continue to get longer. Hopefully young people pick up on this. What is interesting, and confusing at the same time, is that most reports say that the majority of retirees are very happy. If things were as bad as we read, who could be happy? I’ve always been suspicious though of these reports on what the average person has saved for retirement. It’s my understanding that these figures often come from places like Fidelity or other financial institutions that hold 401ks and IRA accounts. And so they report average balances but don’t account for people holding old 401ks at former jobs or having their tax advantaged accounts at a few different places. So unless these numbers come from surveys where people are entering actual cumulative amounts these averages could be way off. No? Agreed. People adapt to their circumstances. I do think, like Ben says, that a lot of people will find their circumstances less robust than they had assumed, but like you I doubt it’s as bad as the doomsayers all seem to say. I expect that part of their intent is to scare the people who are behind into doing something about it. If you don’t generate some fear, you often aren’t being heard, and nothing changes for the better. Undoubtedly, some people struggle financially in retirement, and that’s unfortunate. It’s hard to know how much you might really need. I’m hoping I’m over-prepared than the converse. That’s fair. They’re also usually just a small sample size too so it doesn’t paint a complete picture. In the highlighted chart that shows examples above, the income figures show the returns are 6.66%. Where are these returns coming from, fixed annuities? It’s both a never ending source of amazement to me as well as entirely unsurprising to me that lots of people have absolutely no idea about how much they need to save for retirement. Some of them seem to just have no idea about how much is needed to generate an income stream of 50k or so each year, some seem to assume that because they have made pension contributions of a few percent of their salary each year they will get their full salary in retirement, others seem to have a delusion that they will be able to live in aged care for free, plenty seem to think that selling their house will generate enough money to move to somewhere far nicer and with a lower cost of living. Almost all are wrong. It doesn’t help that a lot of the surveys that are carried out are rubbish either. I’ve completed quite a few, and because a lot of my wealth is held in non retirement vehicles (ie not in pensions or 401k’s) I can either get told that I am way ahead of where I need to be or that I’m way behind depending on whether it takes into account non retirement assets. Similarly almost none of them factor in government support which can add a reasonable amount of income each year. It would be great if people and institutions actually took retirement seriously and started making realistic plans for it a lot earlier, sadly most people choose instead to live in denial about it all. Agreed on the surveys. Don’t paint the whole picture. It’s much easier for people to worry about problems right in front of their faces than plan for something that’s decades into the future. Unfortunately, blame should go to our primary education system. Children are not taught the value of money. Basic checkbook balancing, any type of investment strategy is not taught until college, and that is only if the student elects to take the course. I agree with you there. I’m shocked that personal finance isn’t a required course in both high school and college. It’s so important and can cause so much stress in people’s lives yet we’re all basically on our own to learn as we go. We had a business course in my high school that covered that and more in detail. From routing numbers on a check to being able to buy and sell equities. Completing the course provided us with at least the basic knowledge of the world of personal finance. Unfortunately it was an elective and not a mandatory course for graduation. Nice. One of the few that I’ve heard that from. Very interesting.